Nutmeg Archer has had enough of being invisible in a family of six girls—especially since the man she’s pining for doesn’t notice her, either. 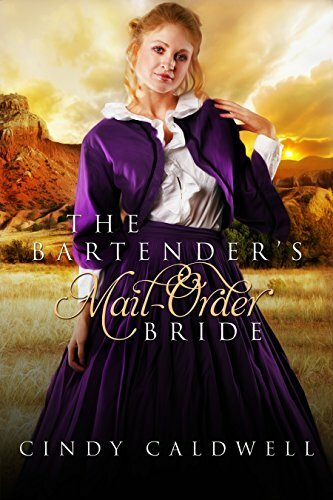 When she finds out he needs a mail-order bride in a hurry, she hatches a plan to get him to notice her, one way or another. Sam Allen gave up his career ambitions and left New York for Tombstone, Arizona, and a new start. He enjoys his job as a bartender—and is very good at it. But because he knew his mother would not approve, he told a white lie that he never thought would be found out. When his high-society mother unexpectedly decides to make a trip to visit, he needs to make that fib a reality—and fast. Sam is dismayed to discover that he has only one positive response to his ad—and to say that he is surprised by who it is is an understatement. It also presents him with a dilemma—what to do when the only person who will marry him is someone he shouldn’t be marrying?